Our focus our first year was to create community awareness of reptiles and amphibians, via presentations featuring live snakes and turtles. 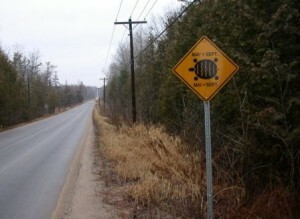 In 2006, Kids for Turtles erected twelve turtle crossing signs, to alert the public to the presence of local reptiles and amphibians. In 2007, we added a focus on vernal pools and the ecosystems found there, with an emphasis on frogs and salamanders and erected 45 more turtle crossing signs. 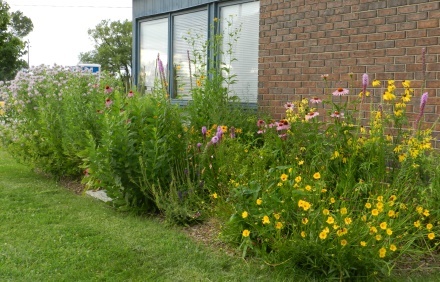 Tree planting, garbage clean up, and invasive species education are some of the other projects we implemented in 2007 and, in 2008, we also planted butterfly gardens and hosted Orillia’s First Annual Mariposa Butterfly Festival. Recently, Kids for Turtles has been able to focus on several different projects across our region to help further the community awareness of environmental issues and increase community involvement. We have been able to increase our scope and positive influence on the protection of key aspects of our local environment. One of the main ways in which we at Kids for Turtles get our message of environmental awareness and education is through our community outreach program. During the school year, teacher candidates from the Lakehead Education program go into classrooms and provide an interactive educational session. 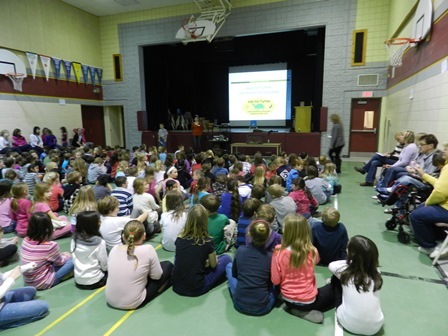 In the 2013/2014 school year, this program reached over 500 students in the Simcoe and Muskoka area. During the summer months, seasonal staff takes our message to events all over the region to bring awareness to the community. During the 2014 summer, we attended events such as Celebrate Lake Simcoe, Mariposa Folk Festival, the Creemore Children’s Festival plus many, many more. In the fall and winter seasons, Kids for Turtles holds many community events that encourage education and provide awareness about even more species. One of our main focuses over the last few years has been our Turtle Nesting Program. 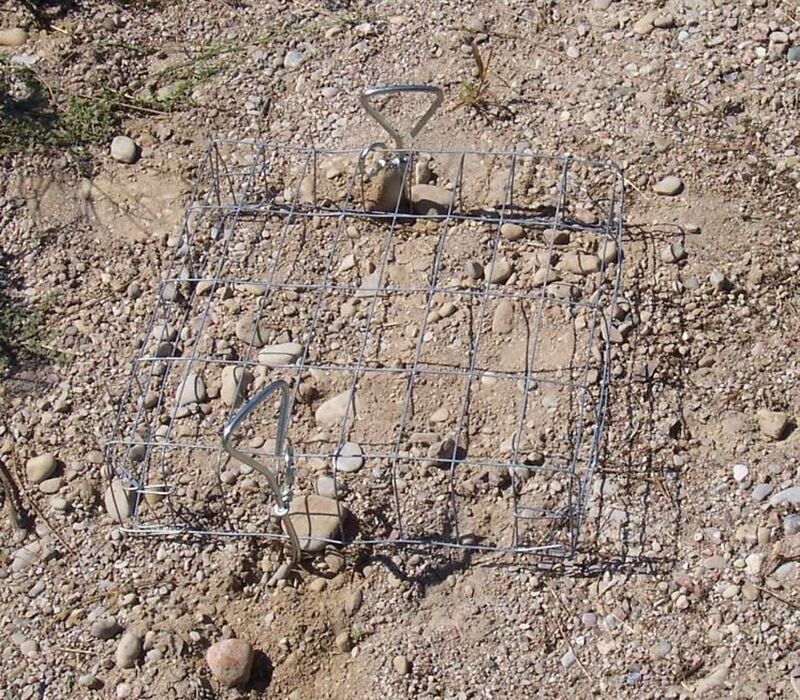 This program involves the covering the of turtle nests with a small, wire cage that allows hatchling turtles to crawl through but doesn’t allow predators to dig up the nest. 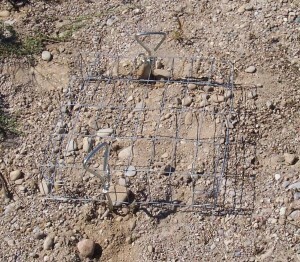 Predation (the destruction of a nest) is mainly done by animals such as raccoons, skunks, foxes, dogs and many other species that eat turtle eggs. Predation can also occur from humans as occasionally, people will want to take the turtle eggs for pets, or for food. It is important that predation is reduced as much as possible to give turtle populations a chance to increase. Currently, the chance that a turtle egg with make it to a adulthood is less than 1%. KFTEE provides the materials for these nesting cages and local high school students create the actual cage that we then hand out to volunteers. These volunteers place the cages over nests and monitor them to provide valuable information to Ontario Nature to help make important decisions regarding turtle protection and habitat conservation. If you would like to become a part of our turtle nesting program, click here to fill out a sign up sheet. Our Turtle Crossing Sign project has continued to be a great success and is drawing attention to those areas in which turtles are often on the roadways. Road mortality is the leading cause of death for adult turtles and can have monumental impacts on the stability of turtle populations. The majority of turtles that are seen on the roads are nesting females that are looking for nesting habitats. The loss of even one nesting female can cause lasting devastation to a turtle population. These signs are a valuable part of the work that we are doing to help Ontario’s Turtles become populous species. Through our wonderful partnership with the Kawartha Turtle Trauma Centre, we have been able to help rescue injured turtles and release them back into the wild. The KTTC has put in place a “taxi” program in which volunteers participate in a relay of sorts to get the injured turtle to Peterborough. In 2013, the KTTC worked on approximately 800 injured turtles which is an amazing feat. Kids For Turtles works together with the KTTC to help find volunteers and spread the word about the importance of protecting injured turtles. If an injured turtle in the Simcoe County area needs medical attention, Kids for Turtles is able to help facilitate this. If you would like to donate your time to this cause, click here to fill out our volunteer sheet. Kids for Turtles Environmental Education is not just about protecting reptiles and amphibians. We are dedicated to protecting all facets of the environment, including the insects that pollinate flowers. Insects such as honeybees, native bees, butterflies and moths, beetles and many others are extremely valuable to everyone. These species are indispensable and are essential for farm production and food crops. These insects are at risk due to habitat loss, loss of food resources and pesticides. Pollinator gardens are those gardens that are comprised of particular plants that encourage pollination. Along with Bob Bowles and his garden committee, we have begun to create pollinator gardens in various places in our area. Kids for Turtles has supplied the plants for these gardens to be placed in locations such as Scout’s Valley, Lakehead University, Tudhope Park and several others. These gardens can have positive effects on these important insects.